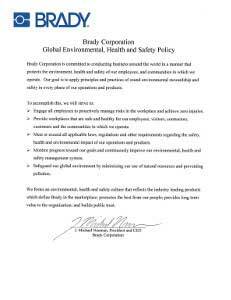 We foster an environmental, health and safety culture that reflects the industry leading products. We operate under a compliant Quality Management System meeting AS9100D requirements for the design and manufacture of preprinted product ID labels and RFID Tags. 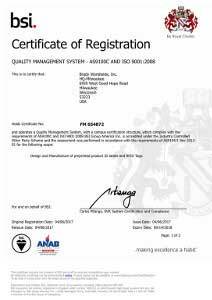 We operate under a compliant Quality Management System meeting ISO 9001:2015 requirements for the design, manufacture and distribution of our products, materials and their repairs. 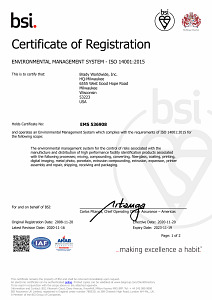 We operate under a compliant Environmental Management System meeting ISO 14001:2015 requirements for the control of risks associated with the manufacture and distribution of high performance facility identification products.